February 21, 2015 Manhattan2008, 447 W 18th Street, apartments, Audrey Matlock, chelsea, luxury, Manhattan, postmodern, residential. 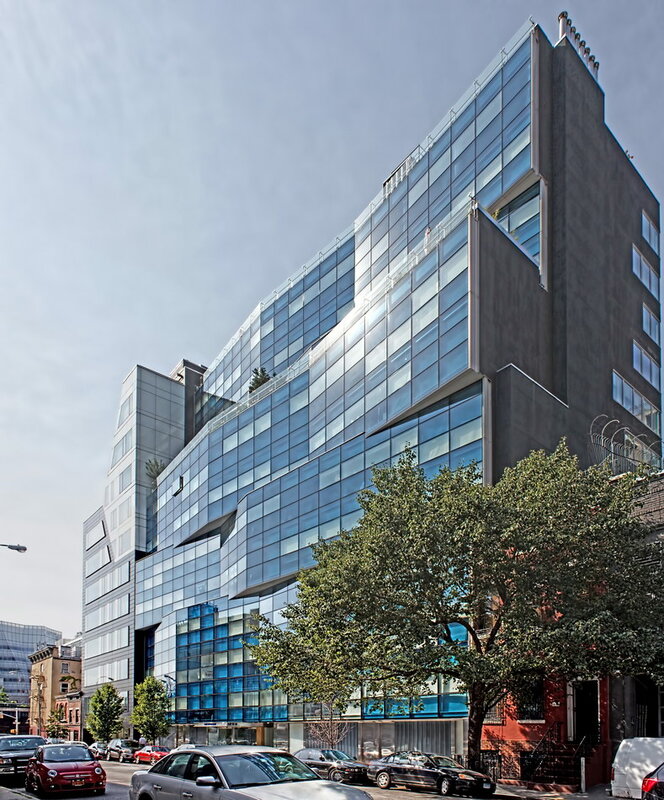 Chelsea Modern is a stunning, award-winning residential design with innovative features – and with a perfect companion building next door on West 18th Street. 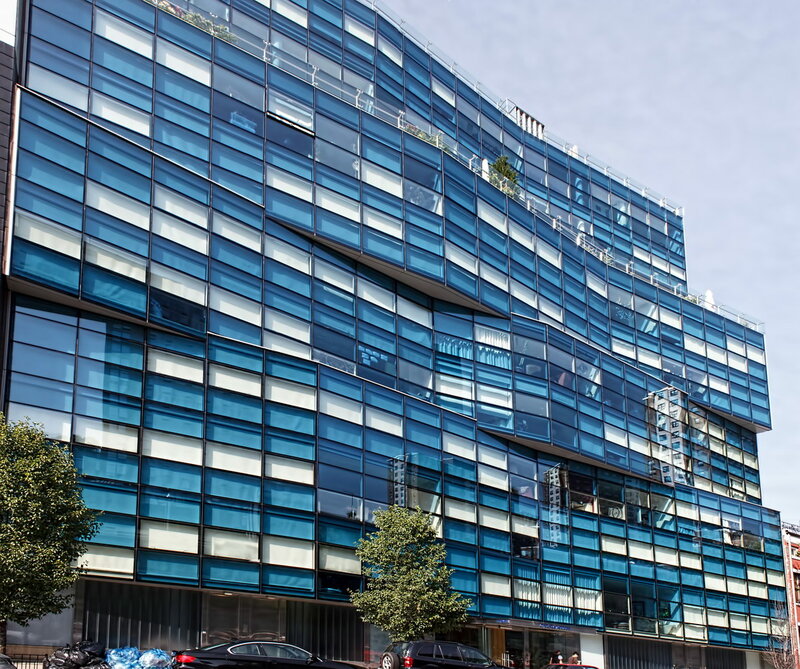 Even with its mid-block location, the 12-story zig-zagging blue glass facade stands out. Architect Audrey Matlock took a page from Ludwig Mies van der Rohe’s Seagram Building – perfectly matched window blinds are built in, so that no one can destroy the symmetry or color of the facade by installing, say, calico curtains. But condo buyers can alter their floor plans somewhat – some of the bedroom walls are movable. Handy when you need to make the guest room less hospitable. 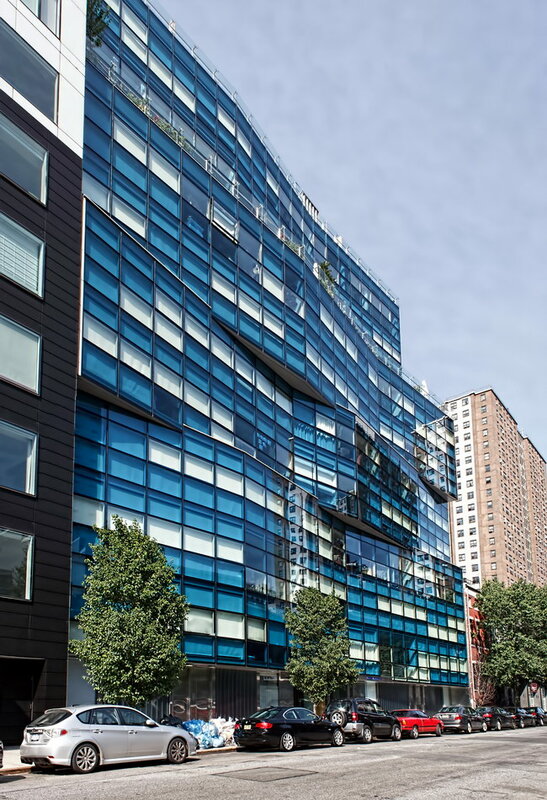 You can open the windows at Chelsea Modern – but not by sliding or swinging the sash: It moves straight out, parallel to the side of the building. Fresh air enters (or your culinary excesses exit) around the sides of the sash. 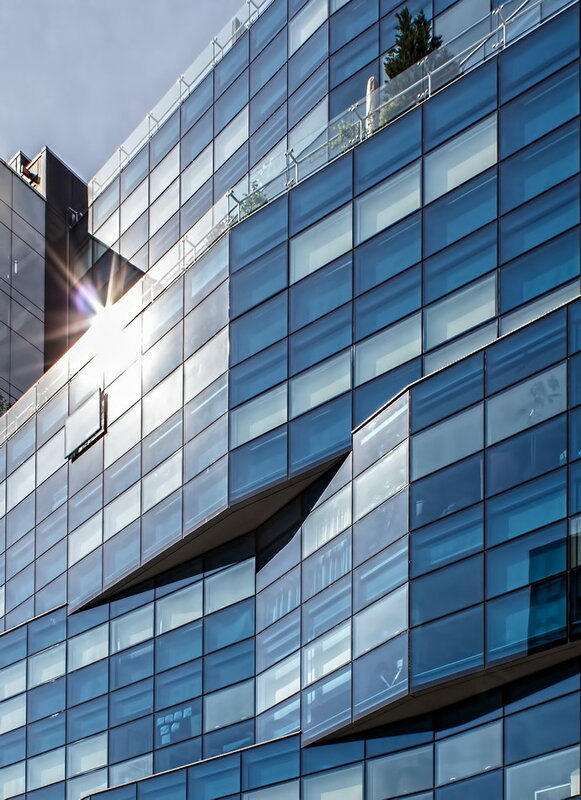 As with anything radical, Chelsea Modern has its passionate detractors. They lament “there goes the neighborhood” as historic architecture is razed and glazed. (See the Jeremiah’s Vanishing New York blog. Even if you don’t agree with the author, you have to appreciate the writing.) Two warehouses died in the making of this building.